With the explosion in techniques to explore the human brain at every scale has come a deeper understanding of fundamental human characteristics. We are also able to see impairments and dysfunction as well as pathways by which we may ultimately be able to treat and cure such conditions. This series explores the latest from the foremost researchers in neuroscience who are looking at how processes in the developing brain ultimately influence how the mature brain will function throughout life. 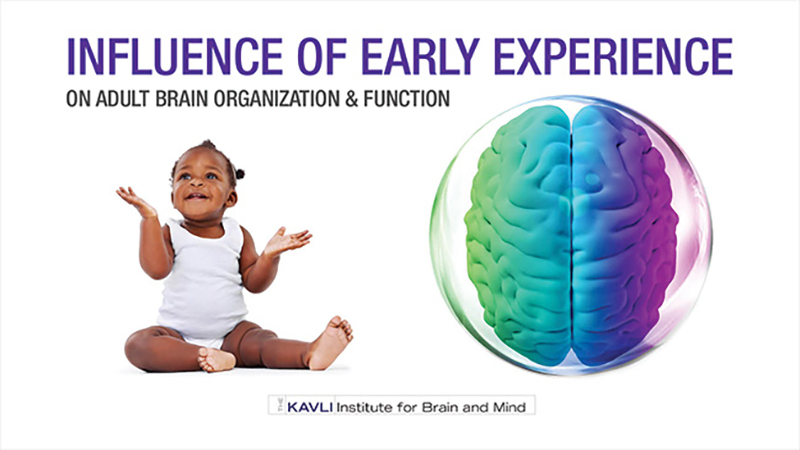 Highlighting language acquisition, parenting, the survival of our species, overcoming genetic and environmental challenges, autism, schizophrenia, Alzheimer’s disease and more – this series from The Kavli Institute for Brain and Mind will fascinate, inform and inspire you.